THIS IS A $50.00 DEPOSIT, THE REMAINING $50.00 IS DUE THE DAY OF THE CLASS. This class will be taught by a retired Ohio State Highway Patrol Trooper and an OPOTA (Ohio Peace Officer Training Academy) certified firearms instructor. Food - pack a lunch. There is no live ammunition or firearms in the classroom. All live ammunition and firearms must remain in your locked vehicle before entering the classroom. For the range session you will need your own modern handgun in good working order, cleaned and ready to go and 100 to 150 rounds of the correct caliber handgun ammunition for the handgun that you will be shooting. 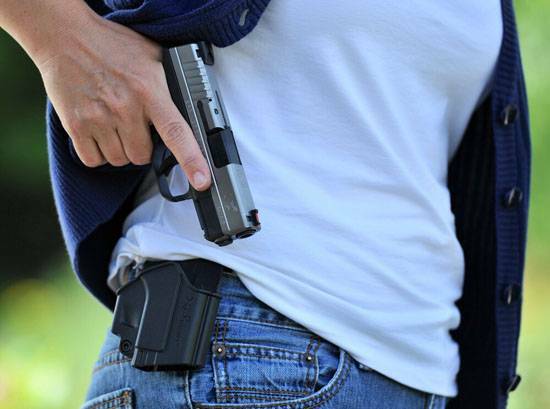 If you do not have a handgun, please let us know and we can provide one at a nominal cost. No ammunition will be provided. Also, bring your own hearing and eye protection. Dress for the weather, we will be using on an outdoor range with no shelter. If you would like, bring a lawn chair as there are no benches.